From Korean series to movies to variety shows you can stream! (SPOT.ph) Gone are the days when we had to wait for each episode of a Koreanovela to air on TV every day. 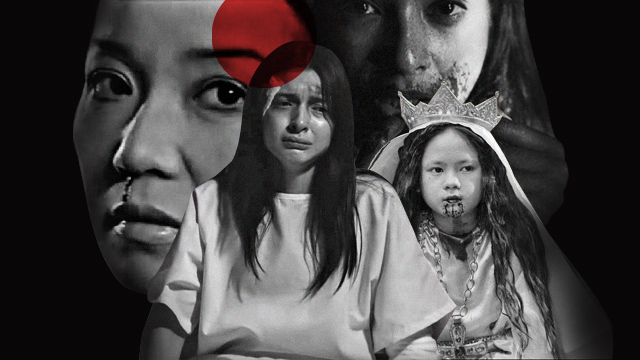 These days, we have streaming platforms that let us binge-watch for however long we want! 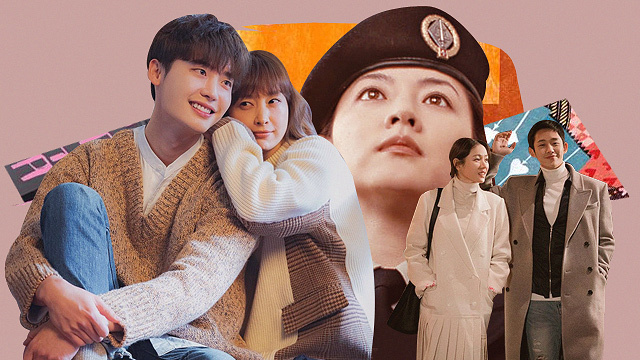 It’s not surprising to know that many people find it hard to resist watching K-Dramas—the refreshing plots paired with great writing (and of course, cute oppas that breathe life into each story) offer so much more than your usual show. Korean series tend to be more popular here in the Philippines, but don’t be surprised when you get hooked by their films and variety shows. Netflix has a lot to offer for K-Drama fans, so we came up with a list of 10 things you can stream in case you’re looking for something new to watch. Romance is a Bonus Book marks Lee Na-Young’s return to the small screen (her last drama series being The Fugitive: Plan B in 2010) and Lee Jong-Suk’s last drama before his military enlistment. Na-Young plays Kang Dan-i, a struggling mother trying to get her successful career back after giving everything up to be a full-time mom. She applies for a job at a publishing company, where her longtime friend, Cha Eun-Ho (Jong-Suk) is a successful editor. The show explores the hardships of being a woman and the slow burn of falling in love with your best friend. It also gives us a taste of what fans would miss before the two-year Lee Jong-Suk drought begins. Kingdom combines the thrill of an impending zombie apocalypse and the complexities of ancient royalty into one show that's totally worth losing sleep over. Based on the webcomic The Kingdom of the Gods, the series follows crown prince Yi-Chang (Ju Ji-Hoon, who also played the crown prince from Princess Hours). A political conspiracy aimed at keeping him from succeeding the throne forces him to flee the palace. As if he doesn’t have enough on his plate, a mysterious disease starts to spread across the kingdom and it might just spell out the end for humanity. Set in Korea’s Joseon period, Kingdom takes you on a thrilling journey as Yi-Chang fights for his birthright—and his life. If you’re looking for a cinematic experience in the confines of your bedroom—Mr. Sunshine is the way to go. 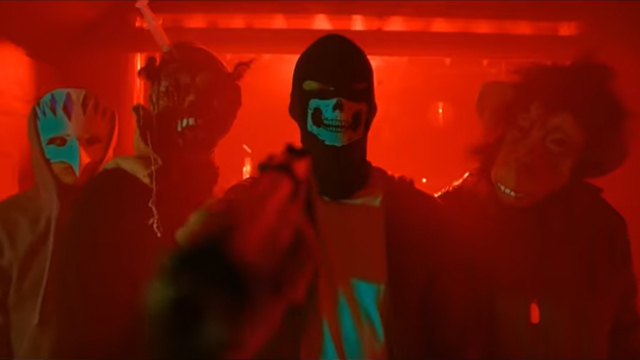 The mere cinematography and visual effects are enough to make you binge-watch this series. Lee Byung-Hun plays Eugene Choi: Born as a slave, he is forced to leave Korea and escape to the United States. He becomes a U.S. Marine soldier and returns to his birth country with a lot of pent-up resentment. Romance blossoms when he returns to Joseon and meets Go Ae-Sin (Kim Tae-Ri), a nobleman’s daughter with a hunger for Korea’s freedom. After receiving a call about a new augmented reality game, handsome CEO Yoo Jin-Woo (Hyun Bin) travels to the breathtaking city of Granada in Spain to meet game developer Jung Se-Joo (EXO’s Park Chan-Yeol). In Granada, he finds more than what he bargained for—a game so groundbreaking that the game developer has mysteriously gone missing. Instead of Se-Joo, he meets his sister Jung Hee-Joo (Park Shin-Hye). When a glitch in the game endangers their lives, Jin-Woo and Hee-Joo work to find Se-Joo, who might be the only one who can save them. Fair warning: One episode at a time won’t be enough so be ready to binge-watch. Based on the 2015 movie of the same name, The Beauty Inside tells the story of a star with a secret: Every month, Han Se-Gye (Seo Hyun-Jin) suffers from a strange occurrence that causes her to appear as someone else. Being a popular actress with a penchant for trouble, rumors surround her when she suddenly disappears. What the public doesn't know is that she's just hiding in plain sight. She could be an old lady or a foreign man or even a young child—you name it, she's been one. This show tells the story of Se-Gye and Seo Do-Jae (Lee Min-Ki), who suffers from face blindness, making it difficult for him to identify faces. You'll also be rooting for the secondary couple, Se-Gye's friend Ryu Eun Ho (Ahn Jae Hyun), who wants to become a priest, and Do-Jae’s sister (Lee Da Hee). Hopeless romantics can take their pick from a wide selection of K-Dramas, but if what you're looking for is a slow-burning romance that feels a lot like real life, then Something in the Rain is the show for you. Yoon Jin-Ah (Son Ye-Jin) is a career woman struggling with her failed relationship and stressful life. Never did she expect her life to take a turn after reuniting with Seo Joon-Hee (Joong Hae-In), her best friend's younger brother who recently returned from a stint abroad. This realistic love story will have you rooting for the unlikely pair from start to finish—if you're not too busy melting at the sight of Hae-In's smile. Okja is a heart-wrenching science fiction movie featuring a multinational cast. It tells the story of a young girl and her beloved pet pig Okja, a genetically modified creature created by Mirando Corporation. The large company has been conducting different experiments to come up with a new breed of swine for consumption. Okja ends up in South Korea and becomes the companion of orphan Mija (Ahn Seo-Hyun). Their simple life together is enough for her, but everything changes when the company returns to take Okja back. Two North Korean militiamen are found dead in the demilitarized zone between the two Koreas, causing tension between the countries to rise. When Major Sophie E. Jean (Lee Young-Ae) is tasked to investigate the incident, she uncovers an uncanny friendship between four border patrol men from the South and North that might help her solve the case. We don't want to spoil too much, but we suggest you bring a box of tissues and an open mind! Busted! is a ten-episode variety show with a twist. The main cast play sleuths from different backgrounds, all chosen to be a part of the mysterious Project K. Each episode shows how they would showcase their strengths and solve urgent missions. You’ll root for each detective as they build their team dynamic and discover their abilities. This show will keep you watching thanks to the fun yet mind-boggling challenges presented in each episode. Don't forget to keep your eyes peeled for special guest stars from the Korean entertainment industry! Also known as Knowing Brothers Ask Us Anything, Men on a Mission is a must-watch variety show if you’re a fan of anything hallyu. Get to know your favorite K-Pop stars as they answer questions in a pseudo-classroom setting. Competing with the main cast (which includes Super Junior's Kim Hee-Chul), guest stars of the show present themselves as "transfer students" from "rival schools." The cast tries to get know their guest through fun games like recounting funny and memorable anecdotes and making them guess what exactly happened. Who knows what secrets may be exposed? Episodes featuring your favorite stars from EXO, BTS, and Red Velvet are available for streaming now.